Portable type on expansion of business. It can be shifted to new premises easily. Available in different capacities. Designed for use in ambient temperature up to 50°C with laser-welded evaporator plates providing full surfaces for heat transfer. 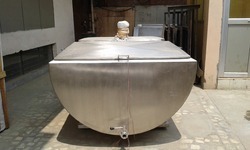 Our gamut of Bulk Coolers is extensively used by various industries for conducting their operations. 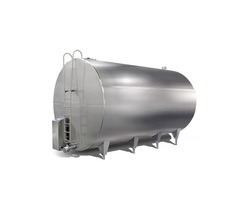 The range of insulated type self refrigerated milk storing tanks that we offer finds application in milk procurement areas. To provide a qualitative range of products we ensure that we use high grade raw material to manufacture our range.